Pilates in Concord, Massachusetts. Private sessions on apparatus and group mat classes. Pilates is a form of strength and flexibility training for any level of fitness. Exercises can be adapted for people with limited movement or for those in wheelchairs. Pilates promotes a feeling of physical and mental well-being and develops inner physical awareness. Pilates strengthens and lengthens the muscles without creating bulk. It is helpful in preventing and rehabilitating from injuries, improving posture, and increasing flexibility, circulation, and balance. Pregnant women who do Pilates improve their body alignment, sharpen concentration, and develop body shape and tone after pregnancy. 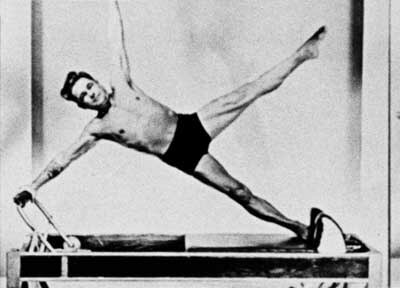 The Pilates method was developed in the early 20th century by Joseph Pilates, an orderly during World War I who designed a unique system of hooking springs and straps to a hospital bed in order to help his disabled and immobilized patients regain strength and movement. It was through these experiments that he recognized the importance of training the core abdominal and back muscles to stabilize the torso and allow the entire body to move freely. This experimentation provided the foundation for his style of conditioning and the specialized exercise equipment associated with the Pilates method. According to Joseph Pilates, "You will feel better in 10 sessions, look better in 20 sessions, and have a completely new body in 30 sessions."